Hello! A few hours ago, Geocaching HQ launched the GeoTour Bion®3 in Paris, France. We believe this partnership provides something fun and different for the community in France. We appreciate your feedback and value what you have to say. As a company, it is our goal to create and enable experiences that positively contribute to the global geocaching community. One of the ways we do this is by collaborating with reputable businesses, travel and tourism agencies, and destinations around the world to create the GeoTour program. We choose our partners carefully, with the community’s interests in mind. Please remember that all GeoTour caches are free. If a particular GeoTour (including this one) is not interesting for you, you can ignore the caches. There are nearly 3 million more to be found, worldwide. Would you like to work with us on this GeoTour? Tell us in the comments below. We would be open to your suggestions, especially since we hope to expand this GeoTour in other French cities. Use the cache pages only for logging the caches and not as a forum for discussion. Comments that violate this will be deleted. You are welcome to post your thoughts into this discussion forum. We believe that GeoTours are a creative way to extend the game in interesting ways. They have been around for about 5 years all around the world and it is an honor to finally have one in Paris. Examples of other cool GeoTours around the world. I must say I am extremely surprised (not in a nice way, sorry! ) about these geotours. Of course I don't condone removing the boxes, that is, as you say, theft, besides spoiling the fun for anyone trying to find these caches. Plus it is, as you say, in direct violation of guidelines.
" Commercial geocaches are disallowed. It contains the name of a business or commercial product." I think it's great that all geocachers must refrain from posting or placing anything commercial in their caches. There is far enough ads and product placement everywhere, keeping our game free from it is brilliant. But then why do you go and spoil it all by violating your own rules and having commercial geotours? I really don't understand. All the French geocachers I've heard or read messages from on Facebook pages or forums seem to be of a similar opinion. Okay, you said we were welcome to comment so I did! By allowing these commercial caches, I also have the feeling you are violating your own rules. Personnally, I'm gonna boycott that series. En autorisant ces caches commerciales, j'ai moi aussi l'impression que vous violez vos propres règles. Personnellement, je vais boycotter cette série. I strongly share the same opinion than the others french geocachers who posted before me, so i will try to no repeat what they said. I really don't understand what you have done with this particular GeoTour, it's the first time i am truly disappointed by one of your action. 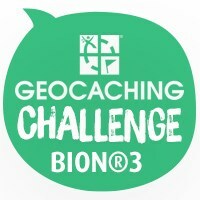 Bion3 has obviously nothing to do with anything related to geocaching. I'm utterly bothered by the fact that money seems to be the exact thing that create the confusion of understanding between Groundspeak and the french community. The free, add-free, generous and volunteering part of this awesome game as always be something precious for me since i know geocaching. As i'm sure you have noticed, this commercial operation with Bion3 was not at all well-received, so i hope that you'll not expense it to another cities from France or elsewhere. I wonder how you can write that you are "collaborating with reputable businesses, travel and tourism agencies" and that you "choose our partners carefully, with the community’s interests in mind" in this specific case ? Could you explain how this pills company is a kind of travel agency or have anything to do with a geocaching game ? I am a bit apprehensive about this specific GeoTour. As background, I did a GeoTour during a long trip a couple of years ago. The first three caches were at local businesses. I almost packed it in right then and there. I decided to try one more cache, and if it was at a business, I was done. The next seven caches were in county parks and national forests. Covered bridges, waterfalls, old growth trees, it was great. All of the caches were regular sized, and were very well maintained. Since then, I have completed a total of six GeoTours. Most of these had some kind of commercial aspect to them. Five were promoted by local tourism boards, and one by a state park system. When I am deciding on whether to do a specific GeoTour, I look for a couple of things. How commercial is the GeoTour? How well maintained will the caches be? Will it take me to interesting locations? For this GeoTour, my initial impression is that the cache pages are not highly commercial. The web pages do has a logo on them. No offers to buy, no link to the company itself. However, when I follow the facebook link, it leads to what I consider a private page because it requires a facebook account in order to join the discussion. Sorry, I don't do facebook, and to me, that makes these web pages too commercial. If the page was publicly accessible, it might be a different story. As for how well these caches will be maintained, I also have some concerns. As near as I can tell, there is some kind of limited contest, a drawing of some kind, associated with these caches. One of the reasons organizations do drawings is to expand their potential customer list. So, what will happen to the caches after this contest is over? Will they be abandoned? There is no mention of any kind of weekly or monthly drawing to follow, so it is hard to judge. Also, all of the geocaches are micro. That generally means that the log fills up fast. Are they organizers prepared to do maintenance? It does look like it would take me to interesting locations. It appears to be in a large park or garden, one that would attract a lot of tourists, or maybe family outings. Yep, definitely an interesting location. On the other hand, lots of muggles poking around. Would logging these caches be easy to do in an inconspicuous manner? While I am still a big supporter of GeoTours in general, I'm not impressed with this specific GeoTour. WHY CAN'T I LOG MY FINDS? We understand that many of you have been finding some or all of the caches over the last few days and are unable to log your finds. Sorry about that! We are working on solving that for you right now. We expect a positive resolution very shortly and we will post back to this forum when it is fixed. Thank you, MMG family. We understand how you feel. Geocaching Headquarters occasionally makes exceptions to our Guidelines when we feel it will be beneficial to the community and to the game. A recent example is this GeoTour. A much, much older example is the last remaining Project A.P.E. cache that was published in 2001. It is such a unique aspect of our game, and thus a much desired target for many geocachers today. That project was born out of a commercial partnership with 20th Century Fox, a Hollywood movie studio. These GeoTours have been built for the geocaching community in a similar spirit. Sanlitun, thank you. Yes, one of the wonderful parts of the game is that there are so many choices left up to each player. You are not required to find any of these caches. Indeed, there are close to 7,000 other geocache choices within 30 km of Paris. Some of you have written privately to us via Message Center. Thank you for those. We are working to respond to all the messages and we thank you all for your patience. It is all ready again. After one month I still don’t understand. Why this Geotour ? Why here ? You say you believe that GeoTours are a creative way to extend the game in interesting ways. You say you believe this partnership provides something fun and different for the community in France. Can you explain to me where is the novelty here, where is the creativity ? And how do these caches extend the game ? Do you really believe players here in Paris (or anywhere else) have waited for these caches to experience something unique ? I’m sorry but they are no more than traditional caches like hundreds of them in Paris. Not funnier, not different. And why Bion3 ? Bion3 is a vitamin pills merchant ? Where is the connection with Geocaching ? I can understand partnerships with tourist offices or national parks but with a pills merchant, truly ? I know, such commercials tours are allowed by Groundspeak despite the guidelines. But should Bion3 not exercise some restraint ? There are advertising references everywhere, in the listings, in the boxes themselves, even the owner nickname is an advertisement. It may be allowed, I feel insulted (and I’m not alone). Why ? Groundspeak may provides the frame but geocaches are hidden by players for players. Guidelines are very restrictive (more and more) and there are plenty of caches that are denied because of that. But we accept it for the game sake. So when a company comes in the game making things that normal players aren’t allowed to do, and uses the game for no other reasons that commercial purposes, yes, it makes me sick. You say I can just ignore the caches (and I will) but I can’t ignore the insult. Bion3 doesn’t care about Geocaching. Bion3 doesn’t even listen players. We can’t talk to Bion3, it hides itself behind courteous commercial answers. Do you truly believe such a geotour was necessary in Paris or are you just trying to convince yourself ? The comparison between the APE cache and this geotour doesn't make sense to me. A.P.E. caches are/were ambitious, creative, and faithful to the concept of our game, despise the commercial partnership. None of this is true with the Paris Geotour, it really looks like they hardly understand what geocaching is about. You're talking about "unique aspect of our game", none of the geocaches from the Bion tour seems unique, they don't even try to be. Also i cannot see where is the "similar spirit" you are talking about, it's night and day to me. I was recently in Paris and decided to look for one of these caches for the simple reason that it was a new regular cache in the area. We did not find the cache, and it had very many DNF logs. Cachers will expect your cache to remain in place for a realistic and extended period of time. Therefore, caches that have the goal to move (traveling caches), or temporary caches (caches hidden for less than 3 months or for one-time events) will not be published. I hope you will not continue the collaboration with this company that obviously had no other intention with these caches other than advertising. I also hope that your GeoTours will not be used to fill up city centers with un-intersting geocaches placed by advertisers with no intention of maintaining the caches. I looked at the Bridgestone GeoTour in Denmark, and it seems a lot better than this one. The tour was created after a survey where Danes voted on the most beautiful places in Denmark, and the caches were placed in those locations. There is a competition lasting until week 48, and the company webpage has information about the GeoTour. The Bion3 tour doesn't seem to have any of these qualities. You wrote that I can ignore the GeoTour if I wish, and that there are plenty of caches within 30 km of Paris. However, the 20 arrondissements cover only 105.4 km2 and only approx. 10 km across. These caches were placed in the middle of the tourist area, an area where many visitors want to look for geocaches (if available). As a tourist in Paris it is very unlikely that you will travel 30 km out of the city center to look for geocaches unless they are in especially interesting, like Versailles. It is also quite ulikely that you will have a car available if your goal is a visit to Paris. If you decide to create GeoTours in the most visited places of a city they should be of high quality and be placed with the intention of keeping them active and maintained.